It is that time of year again. Time to let the previous year slip into the past and look to the future with new goals, renewed energy and a commitment to self-improvement. 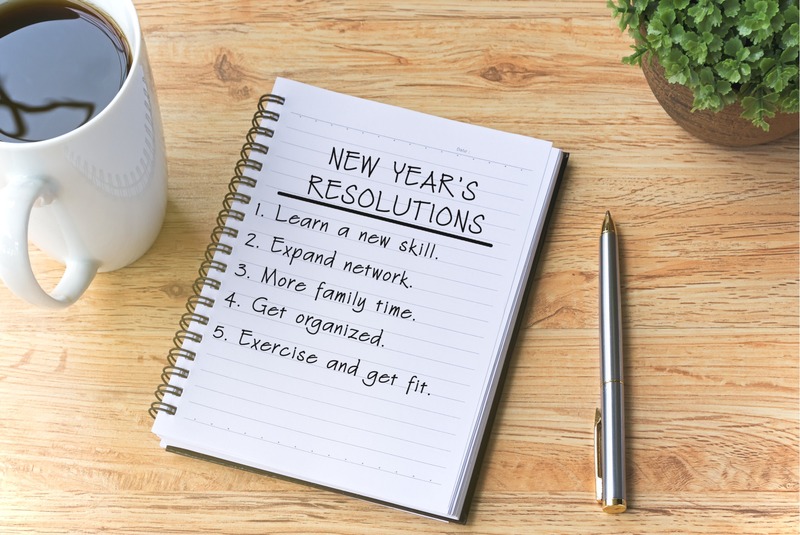 While you decide whether or not you really want to add spending more time with your in-laws to your list of New Year’s resolutions, it might be time to consider some resolutions that can help you save money, reduce your environmental impact, and even make your home a more restful, stress-free sanctuary. If those sound like some good goals for 2018, read on for our top eight 2018 New Year’s resolutions for home and garden. If you have not had an energy audit in the last few years, this is a perfect way to kick off 2018. An energy audit can help you save money and can reduce your home’s impact on the environment, so if your New Year’s resolutions include cutting expenses or living a greener lifestyle, this is one simple appointment that can help you do both. There are several companies in Southern California offering this service, so be sure to compare prices and services before scheduling with an energy consultant. One way to receive an energy audit is to schedule a whole-home energy assessment with a Home Performance Contractor who can assess your home’s energy efficiency and make recommendations for improvements eligible for the Energy Upgrade California Home Upgrade program. If you choose to make the improvements, they can provide the services and can submit the paperwork required to receive any incentives for which you might qualify. San Diego Gas & Electric (SDG&E) also offers some free resources that can get you on the road to energy savings. Visiting the SDG&E website to take the Energy Efficiency Survey is a great first step for SDG&E customers. Folks served by other utility companies should check out their websites to look for similar offerings. The Energy Efficiency Survey can be taken online, or you can request a paper survey to mail back to them by calling (800) 644-6133. You will need your most recent SDG&E bill to complete the survey and, once submitted, you will receive a customized energy use report with recommendations on how you can save energy throughout your home. There is also a short video with energy-saving tips and recommendations on their website, a page listing the available rebates if you make energy-saving home improvements, and a page where you can learn more about potentially free energy-efficient improvements available to qualified households through the Energy Assistance Program. Keep in mind that the Home Energy Renovation Opportunity (HERO) program is a financing option that can help you pay for home improvements that increase your home’s energy efficiency. There is no credit check required to qualify for this loan, which is then paid through an assessment on your property taxes. 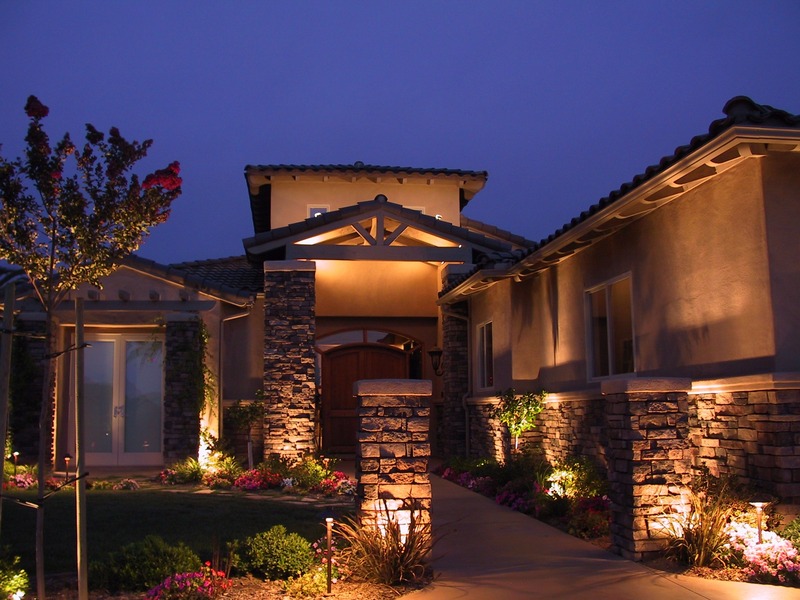 While we are on the topic of saving energy, let’s chat LED lighting. A few years ago, purchasing LED light bulbs was cost prohibitive, which deterred many people from upgrading to this energy-saving option. However, as the technology continues to improve and LED bulbs have become more common, the price has dropped significantly and made this a much more enticing option. Switching to LED lighting will lower your energy consumption and can help you save money on your electricity bill every month. An easy place to start realizing these savings is in the house, where you can replace all of your light bulbs with LED options. LEDs are particularly good choices for light fixtures that are difficult to reach, since these long-lasting bulbs need to be changed much less frequently than their outdated counterparts. Although some folks are saying we are no longer in a drought, Southern Californians know that the next one is always right around the corner. And, considering that we have received almost no rainfall so far this winter, there is reason to believe that we should all be conserving water every chance we get. One way you can start saving more water in 2018 is to get a water survey (aka a water use audit). If you live within the service area of the San Diego County Water Authority, you can get a free water survey by scheduling a WaterSmart Checkup with one of their certified irrigation specialists. WaterSmart Checkups are available for single-family homes, multi-family properties and commercial properties. The focus is primarily on saving water and money on irrigation, but homeowners also get recommendations for reducing their water usage inside their homes. This is a free service and there is no obligation to complete the recommendations, so you truly have nothing to lose and could potentially gain quite a bit through saving water and money. 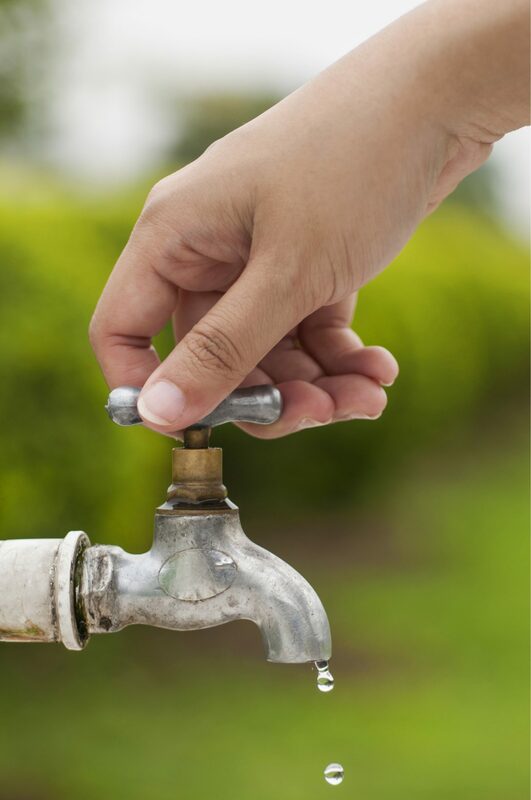 Visit the WaterSmart website to apply for a free water checkup for your property. Conserving water should be at the top of every Southern Californian’s list of New Year’s resolutions, so you might want to just copy and paste this one on your list every year. Reducing your water consumption is good for the environment, but it can also help you save a lot of money – particularly if your property is one of the many that either gets fined every month for using too much water or uses so much water that you are constantly paying top-tier rates. Make this the year that you finally get a handle on your at-home water consumption. The first step may be to get a WaterSmart Checkup, but even for folks who might not get chosen for this limited-participation opportunity, there are plenty of things you can do right now to start saving water. Install a rain barrel, buy a rain sensor for your irrigation system, use a HERO loan to install a gray water system, or replace tropical plants with drought-tolerant native species. There is perhaps no better way to save water at home than removing all or part of your natural grass lawn. According to the Water Footprint Calculator, watering a 1,000-square-foot lawn with one-half inch of water uses approximately 330 gallons of water. 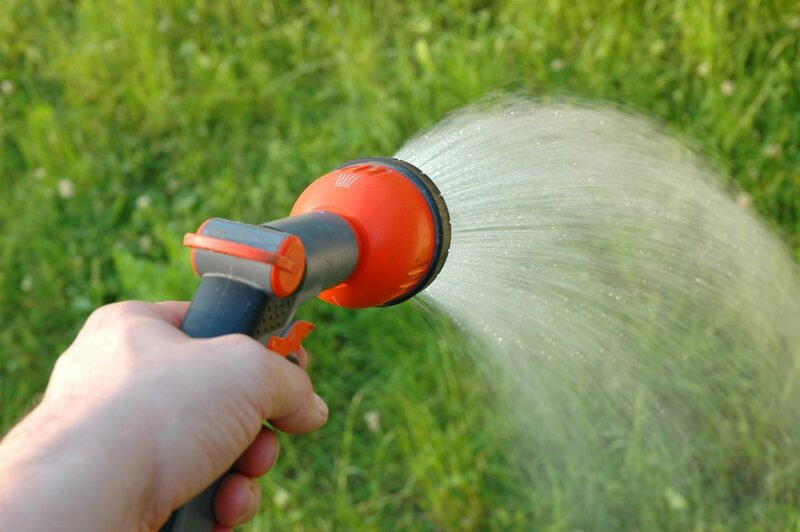 If you water this lawn twice a week, that is 2,640 gallons of water every month. 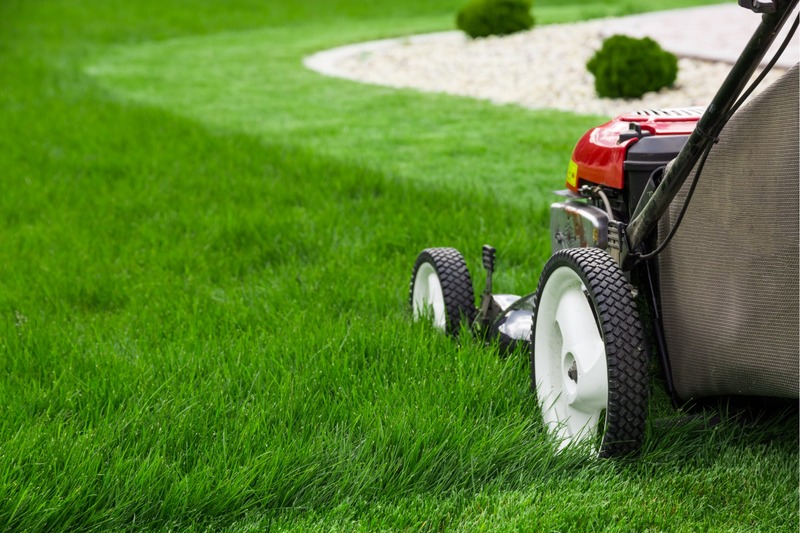 Using basic math, you can quickly determine that if you reduce a 1,000-square-foot lawn to 500 square feet, you can save 1,320 gallons of water per month. Add a non-grass walkway through the middle of the lawn. Create an island flowerbed to take up square footage once occupied by living grass. Replace the outer perimeter of your lawn with wood chips or gravel to make a grass island. Replace your natural grass lawn with water-saving artificial grass. Replace your all or part of your lawn with drought-tolerant native plants. 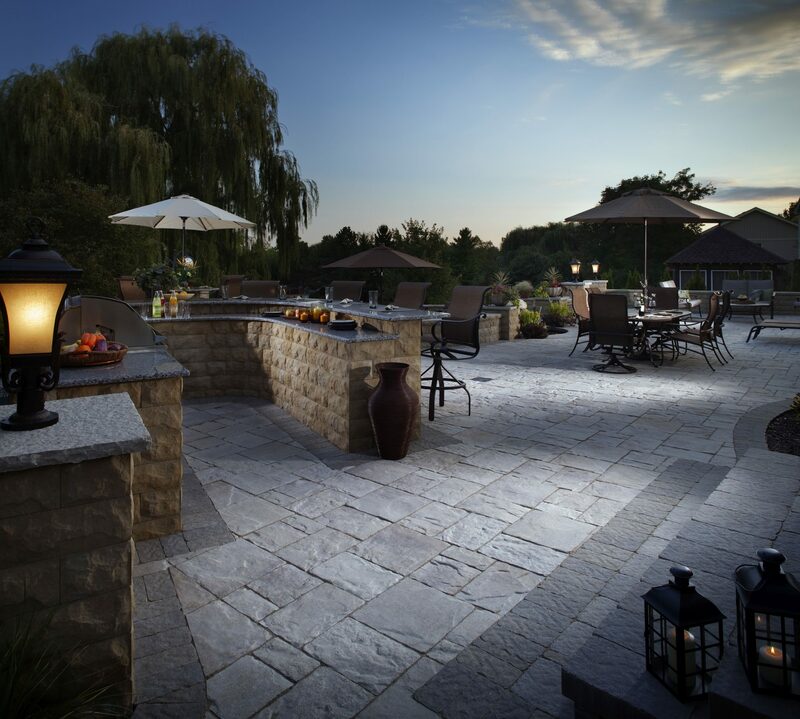 Replace part of your lawn with a paving stone patio. Can I Install Artificial Grass on Top of Real Grass? Okay, there is no way to actually make your property completely fireproof, but 2017 certainly reminded Californians of just how susceptible we are to wildfires. Even if your home was not impacted by our local fires, everyone seems to know someone whose life was changed by the fires that swept across the state over the last year. 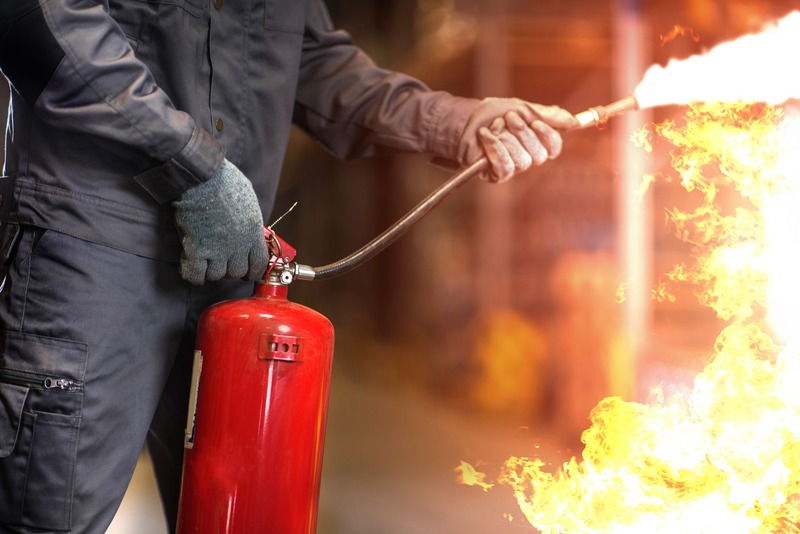 This is reason enough for fire-resistant landscaping to make it to the list of top 2018 New Year’s resolutions for home and garden. You can start by removing dead trees, shrubs and plants, keeping your trees trimmed away from your roof, regularly performing weed abatement, keeping your gutters clean, and replacing highly flammable trees and bushes with fire-resistant options. If you have a landscaper or arborist with whom you regularly work, have them come out to assess your landscaping and make recommendations that could save your home or property from future fire damage. 2017 was a rough year for a lot of people. Stress levels increased, relationships strained between friends and family members, many people were greatly affected by wildfires, and folks in just about every group felt at least a little threatened or forgotten at some point. While everyone is hoping for 2018 to be a much better year, we are likely going to have to put in some work to make it so. One thing we can do to help ourselves, our friends and our family recover from the stresses of 2017 and reduce stress levels in 2018 is create a restful, relaxing space where we can rejuvenate. Since Southern Californians can use their outdoor living areas throughout the year, and this is where we most often congregate for social gatherings, refreshing these spaces is a perfect resolution for 2018. Even a small bit of sprucing up, such as replacing our old patio cushions with some comfy new options, can create a more welcoming space where we can sit down with friends and a bottle of wine to vent, rant or just catch up. Upgrading your barbecue grill, making a few improvements to your outdoor kitchen or installing a fire pit might be just what you need to bring your extended family together a bit more often to partake in some friendly debating or remind everyone that you are still family regardless of your differences. Making our outdoor living areas more welcoming and relaxing is a great step towards creating spaces that can help us reduce and manage the stress of everyday life. However, outdoor living areas are usually in the backyard, and it is important that we do not forget about our front yards. Curb appeal provides the first impression our neighbors and guests have of our homes. It also gives hints about what you can expect to find inside, and can make or break a deal when you are trying to sell your house. These things are important but, in 2018, let’s improve our home’s curb appeal just for ourselves. As mentioned above, 2017 was a pretty stressful year for a lot of people. Our homes are our sanctuaries and where we return to when it is time to rest and rejuvenate. This is precisely why we should improve curb appeal to create an even more welcoming and stress-free environment that begins as soon as we pull in the driveway. Weeds, trees that need pruning, trash, and toys littering your front yard are just going to remind you of everything you need to add to your never-ending to-do list. Seeing a cluttered, unkempt or uninspiring front yard as we pull up to our homes is just another reminder that our work is never done and is certainly not conducive to relaxing or reducing stress. Dedicate one weekend just to cleaning up your front yard and increasing your home’s curb appeal. Pull weeds, prune trees and shrubs, straighten your outdoor light fixtures, remove any unnecessary clutter and clean your windows. You might also consider painting or replacing your mailbox, repainting your shutters, adding color to your porch with hanging flower baskets, refreshing the flowerbeds along your driveway, or replacing your house numbers. If your budget allows for some larger projects, you can seriously upgrade your home’s curb appeal with a paving stone driveway or an always-lush, artificial grass lawn.